Reassurance shield after Routes 32 and 212. 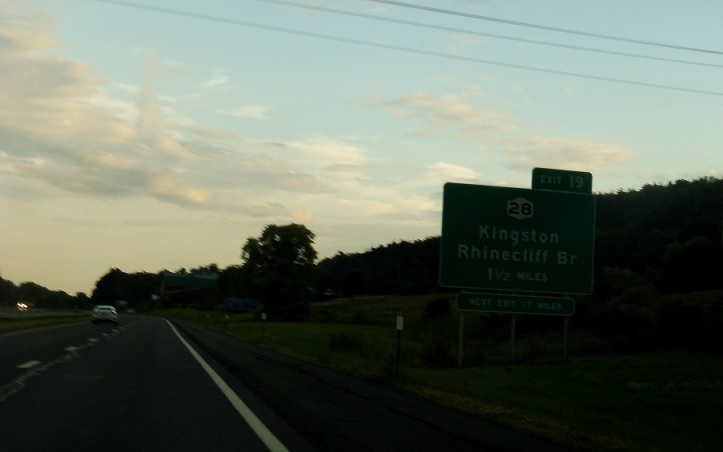 A few miles later, we’ll approach Route 28, which also carries I-587 into Kingston. 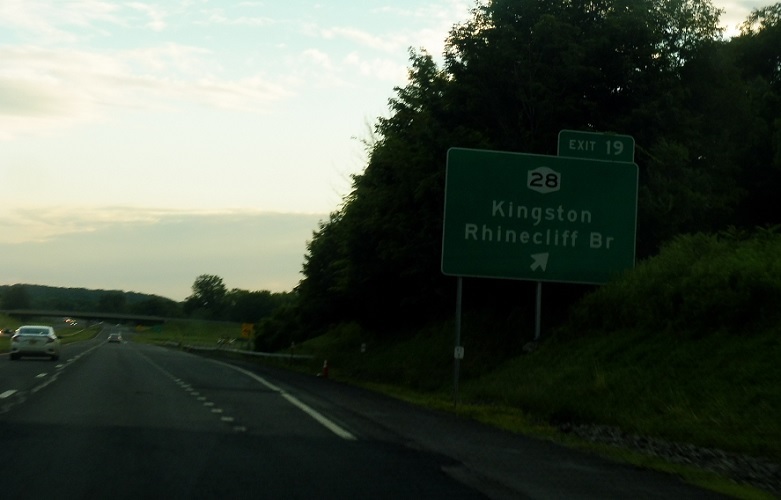 Exit for Route 28 as well as Interstate 587. 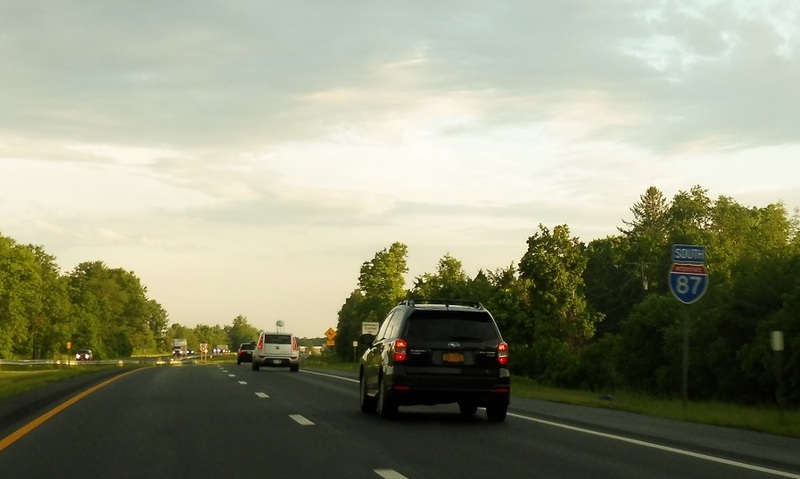 I-587 is a quick spur into Kingston that is entirely concurrent with Route 28.